Figure skating is a beautiful but dangerous sport; repetitive jumping and landing on ice can cause a lot of joint stress. Researchers are working on “smart” blades to measure the force that is exerted on the ice. The data could then be used to prevent injuries. If you’ve ever seen a figure skater leap into the air and then come down hard on the ice, you can imagine the stress that’s inflicted on the skater’s joints over time. In fact, according to a recent article on Phys.org, when an ice skater lands after a jump, he or she might “exert a force magnitude up to six times their body weight.” Imagine doing that over and over. To get a better idea, check out the video below (from Wikipedia.com) to see some common figure skating jumps: toe jumps (loop, flip, Lutz) and edge jumps (loop, Salchow, axel). “Video demonstrating the different figure skating jumps.” by Oharaek. Licensed under Creative Commons Attribution-Share Alike 3.0 via Wikimedia Commons. Stress injuries are, naturally, associated with overuse rather than trauma. Excessive jumping on ice tends to result in stress fractures and reactions, tendonitis, hip muscle strains, knee injuries, and more. The good news about injuries related to overuse is that they can be avoided in the first place. To help ice skaters prevent stress injuries, researchers are working on a device that measures the exerted force when landing on the ice after a jump. The current version measures both horizontal and vertical loads, and the next step is to improve the accuracy of the system. 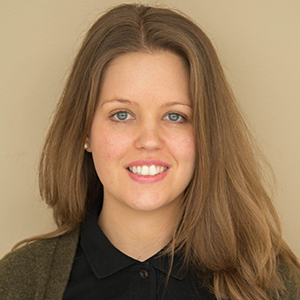 By arming the skaters with data on how hard they are landing, the device could be used to decide when and how to adjust the routine or end the training session accordingly — before figure skating joint stress becomes an issue. 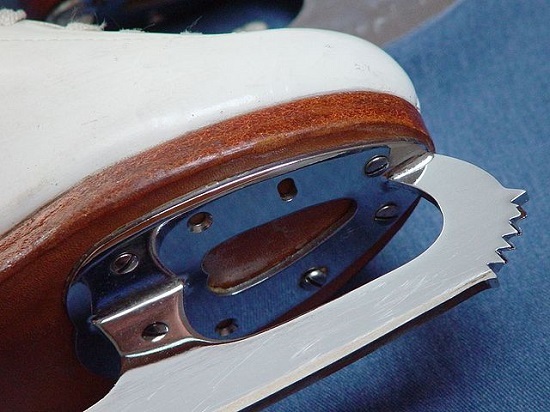 Close-up of a figure skate. So how does it work? The battery-driven device is built directly onto the blade of the figure skate. The stanchions that connect the blade to the boot have strain gauges attached to them. When the ice skater jumps and lands, the stanchions — and thereby, also the strain gauges — deform due to the exerted force. Upon deforming, the strain gauges’ electrical resistance changes. Next, a Wheatstone bridge circuit measures the change and a central control system calculates the overall force. The whole assembly reportedly only weighs 142 grams and does not touch the ice, making it ideal for the figure skater as it does not interfere with his or her movements.